CR84FN 39 Refresher | Work in Progress. It's week 2 of the latest CR84FN color challenge! Aside from leaves and fall, these colors made me think of sunflowers, one of my favs!!! 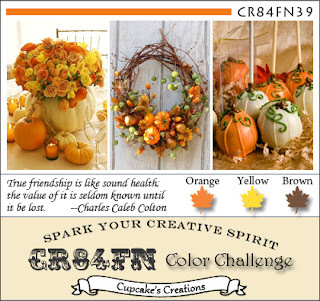 Posted in brown, CR84FN DT, fusible fabric web, muslin, orange, steam a seam, Sunflower, yellow . Bookmark the permalink. RSS feed for this post.